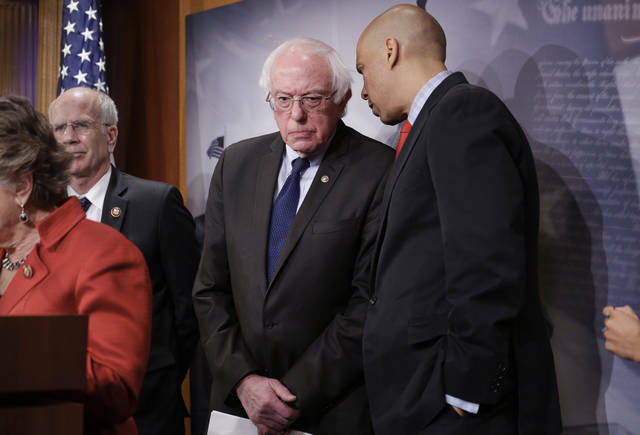 The Democratic bills stand little chance of becoming law in a divided government. But the effort could put Republicans on the defensive by echoing Trump’s pledge to force drug makers to cut prices. —Allow Medicare to directly negotiate with drug makers. 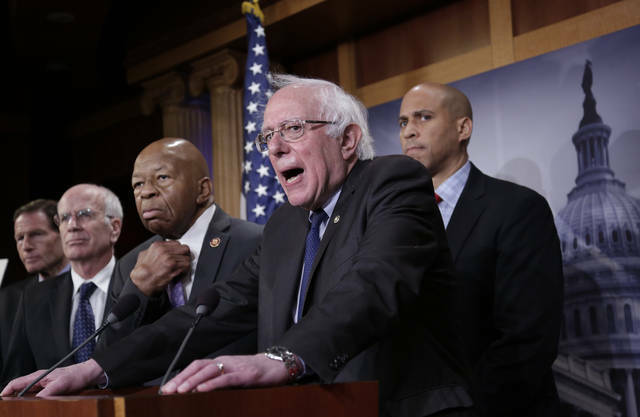 Holly Campbell, a spokeswoman for the Pharmaceutical Research and Manufacturers of America, said Sanders’ plan would harm U.S. patients. The industry argues that government price regulation could limit access to some medicines, undermine financial incentives for research, and compromise safety standards. Sanders says drug makers are primarily interested in protecting profits. As president, Trump has come out with a plan to lower drug costs that relies on dozens of regulatory actions. The goal is to eliminate incentives for drug makers, pharmacy benefit managers and insurers to stifle competition at the expense of consumers. Independent experts say the administration proposals would have an impact, but not limit the ability of drug companies to set high prices. If the manufacturer was unwilling to cut its U.S. price, then the government could allow generic companies to make a more affordable version of the medication. Generic drug makers would have to pay “reasonable” royalties to the company that holds the patent. Federal employees rally to call for an end to the partial government shutdown. Disclosure statement: Scott R. Baker does not work for, consult, own shares in or receive funding from any company or organization that would benefit from this article, and has disclosed no relevant affiliations beyond their academic appointment. Peter Redshaw: This is the strange thing about the United States system where government can have a failure in the confident and supply of the budget and yet not cause a government to fall and a new election, if a new government can not be formed. This is a huge failure in the system of the US Constitution and it Presidential form of government, because it does not hold strong enough consequences for those in power for the failure to fund government and the services government provide to the people. How many shut downs or partial shutdowns in The US do we see used as a political tool, either by the President or by Congress? This article says this is the third shutdown under this term of Trump and his is not the only Presidency we have not seen the use of this political tool, for what is all too often lazy politics. Yet it does not have the consequences it should have for all those involved compared to here in Australia. Confidence of Supply is essential for any government in power under our system of government, because governments fall without it resulting in all too often new elections, which has consequences for both sides of power. 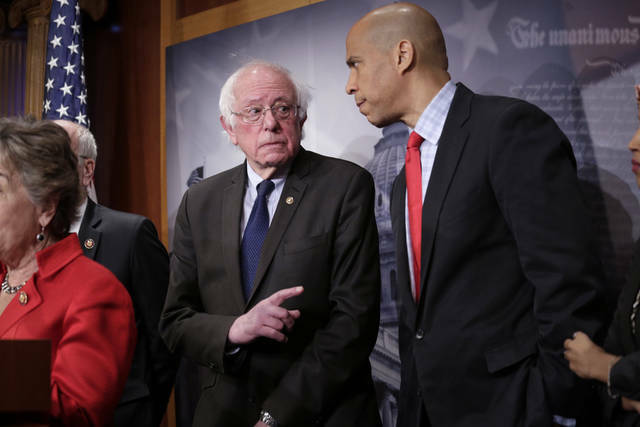 NEW YORK (AP) — Allies of Vermont Sen. Bernie Sanders are rallying behind the embattled presidential prospect, even as they reluctantly begin to ponder a painful possibility: a 2020 presidential field without him.